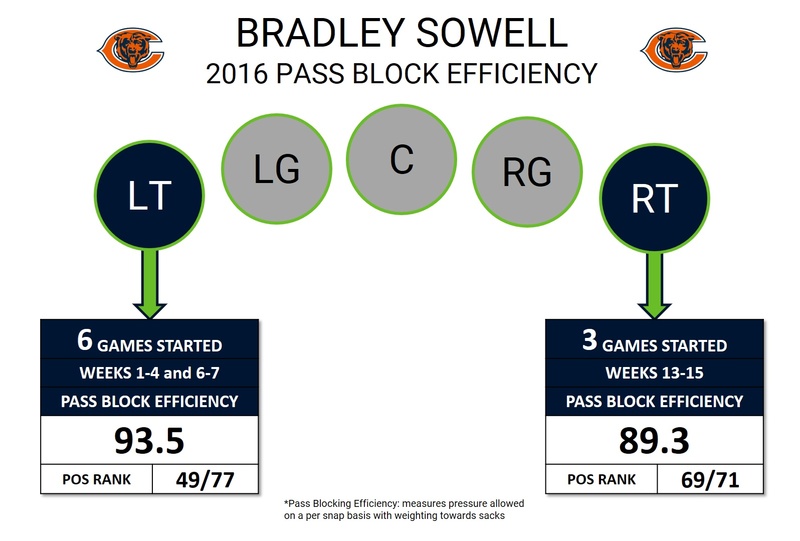 The Chicago Bears signed veteran OT Bradley Sowell, whose most recent playing time came for the Seattle Seahawks in 2016. Sowell played 628 snaps last season, surrendering four sacks, eight hits, 27 hurries, and eight penalties as he manned both left and right tackle for the Seahawks over the season. Sowell’s run-blocking was little better and he has never earned a PFF grade over 67, with three of his four seasons earning marks of below 42 overall. Sowell has experience of both left and right tackle, and will likely be Chicago’s swing tackle from the bench in case of injury.